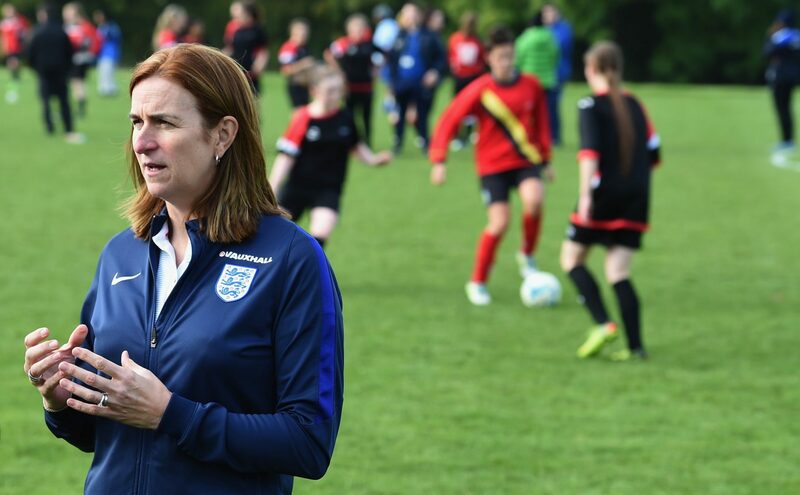 Southampton FC have announced the appointment of Marieanne Spacey-Cale MBE as its new Head of Girls and Women’s Football Technical Department. The former England veteran will be based at Staplewood Campus on a full-time basis, and responsible for managing all Girls and Women’s Coaching and Performance staff, as well as overseeing the development of the club’s Regional Talent Club. The Saints feel Marieanne is perfectly positioned to further its ambition to continue to produce home-grown international standard female players, as well as achieving its future goal of competing in the FA Women’s Championship in the coming years. Southampton Football Club’s Technical Director Martin Hunter told the club’s website: “An awful lot of work and preparation has gone into this appointment. We were blown away by the calibre of candidate for this role, but are delighted to have Marieanne on board. Speaking about her appointment, Marieanne Spacey-Cale said: “From the moment I walked into the club the excitement has continued to rise. All well and good the appointment, but what are Saints ambition to get status in WSL? They have been thwarted by lack of effort to get in by application when they had chance.